Members all champion the right of women to participate fully at every level of the workforce across all these sectors and make real differences in women’s lives by raising awareness, leading debate and driving change. And we network, learn and have fun along the way. BPW Membership - $225.00 (AUD) Subscription period: 1 year No automatically recurring payments Plus One off Joining Fee of $25. Past members - please do not join as a new member but contact bpwaust@bpw.com.au for assistance. BPW Membership - Concessional - $112.50 (AUD) Subscription period: 1 year No automatically recurring payments Plus One off Joining Fee of $15. Small Business (A) - $300.00 (AUD) Subscription period: 1 year No automatically recurring payments Plus One off Joining Fee of $25. Small Business (B) - $525.00 (AUD) Bundle (up to 2 members) Subscription period: 1 year No automatically recurring payments Plus One off Joining Fee of $25. You can also opt to nominate a club that you would like to join if there is one near you. Please note that an eClub is under development for members who are not near a club. When you join BPW as a Member, you become a Member of both BPW Australia and of BPW International, opening up broad opportunities to engage, learn, contribute to achieving BPW’s aims and participate in personal and professional development. Belonging to your local Club brings additional benefits, including regular communications about Club projects and programs and contact details of Club members to foster networking and mentoring. As a member of BPW Australia and BPW International, you can attend meetings of any Club across the country and even across the globe! If you are travelling within Australia, remember to check the website Club pages to see when and where the Club in your destination meets. 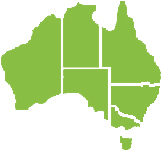 Sometimes a member is not located where BPW Australia has a local club, or has travel or other commitments that prevent her from attending Club meetings. If you are interested in supporting the objectives of BPW Australia but cannot join a Club, it is possible to join BPW Australia directly as an Independent Member. As an Independent Member you will be encouraged to link remotely with a BPW Club so you can receive communications and engage with online activities. You will be contacted by the BPWA Director of Membership to make these arrangements. Click on the map to find clubs. A company may seek Corporate Membership and allocate up to four members to attend Club meetings. More details. For more information on Corporate Membership of BPW Australia, please contact Director of Membership. Life Membership – is bestowed upon a BPW member by Club, Division or nationally. It recognises a member who has made an exceptional contribution to BPW and to women in Australia. Honorary Membership – is for women on whom BPW would like to bestow membership in recognition of their contribution to the Australian community. It can be bestowed by a Club, Division or nationally.